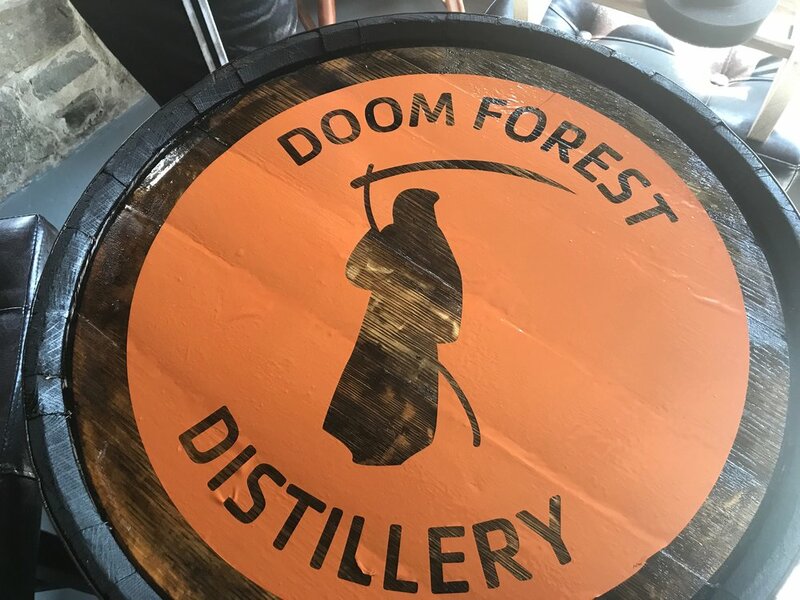 The Doom Forest Distillery Tasting Room officially opened to the public on Saturday, October 21, 2017. Lynn and Laurel Chadwick spent hours upon hours preparing for this day. We are so thankful for the amazing turnout of people and all of positive feedback that was received. Our signature cocktail, CHADWICK'S RASPBERRY SMASH, was an absolute hit! The future is looking very bright! Many thanks to the Steelhouseoven for making delicious pizza for all the guests. Walter Weymouth did an amazing job entertaining the guests with live music. 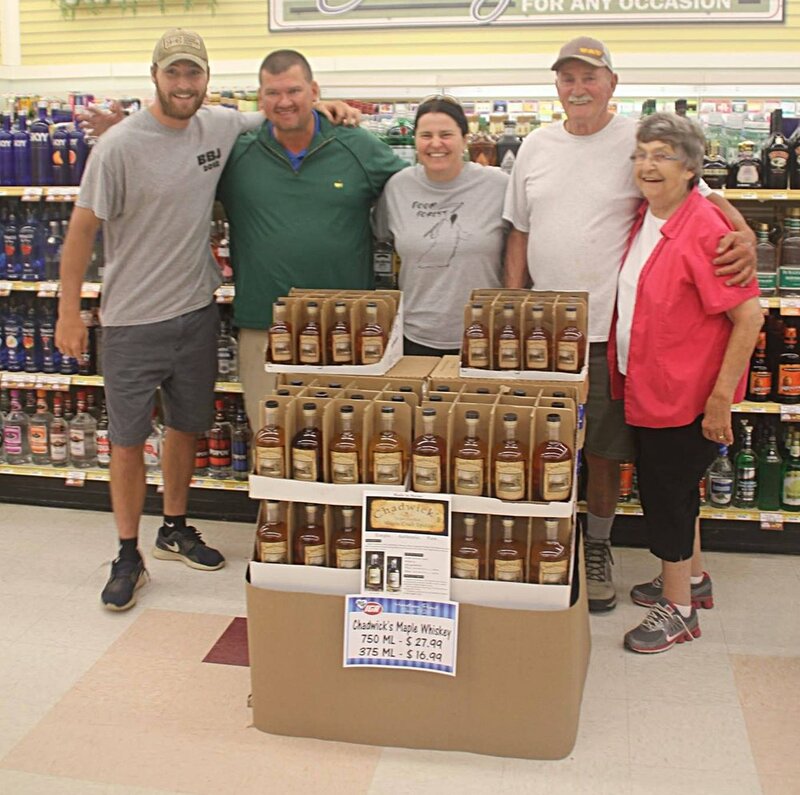 Thank you to the Maine Cabin Masters for taking some time out of their very busy schedule to attend our event. We truly appreciate all of you!!! 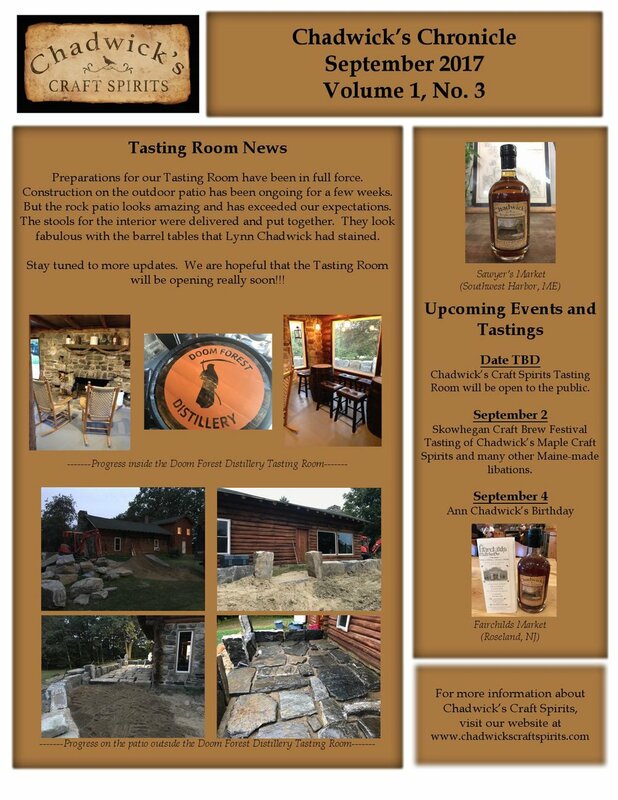 OUR TASTING ROOM IS OPEN FOR BUSINESS EVERY SATURDAY FROM 1:00-6:00PM! The winter weather is gradually starting to break in Pittston nowadays. The bugs have yet to return in any strength, and the days are often bright and sunny. For the Chadwicks, virtually any weather is good weather, but when it's clear and dry, they'll take advantage of it. 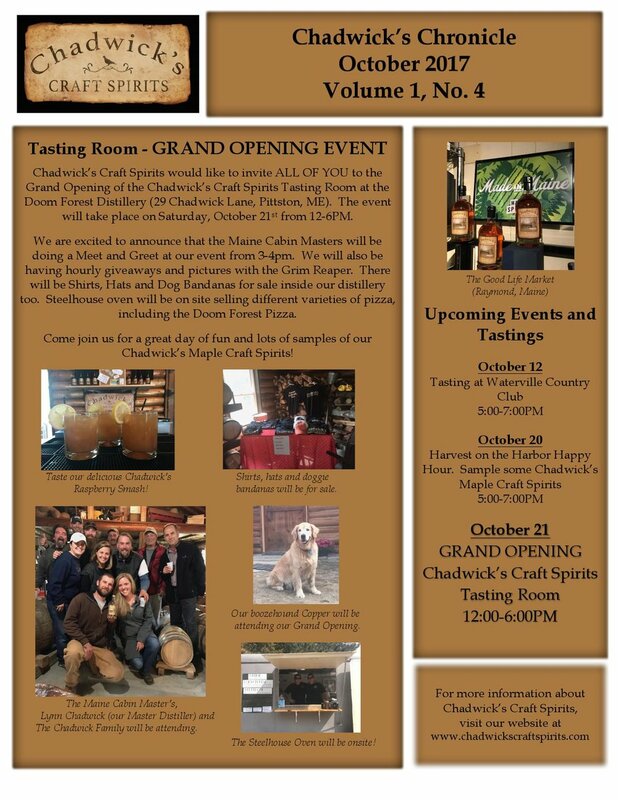 And today that meant making pizza and enjoying each other's company with a glass of Chadwick's Maple Craft Spirits. Lynn Chadwick forming the perfect circle. Is there anything she can't do? Into Steel House Oven's wood fired, outdoor pizza oven. And just a few minutes later......perfection. Believe it or not, this expression of Larry's means he loves it! Oh yes. And the finishing touch. May this post remind you that the warmer weather of Spring is on its way. Soon enough the flowers will be blooming and the trees will be filled with green. Like many things of natural quality, pure maple sap is only available to be collected on a seasonal basis. In today's clip, Lynn notes the final amounts of sap being boiled down into syrup. It was a successful season, even requiring the addition of a second steamer.